Two going on twenty. 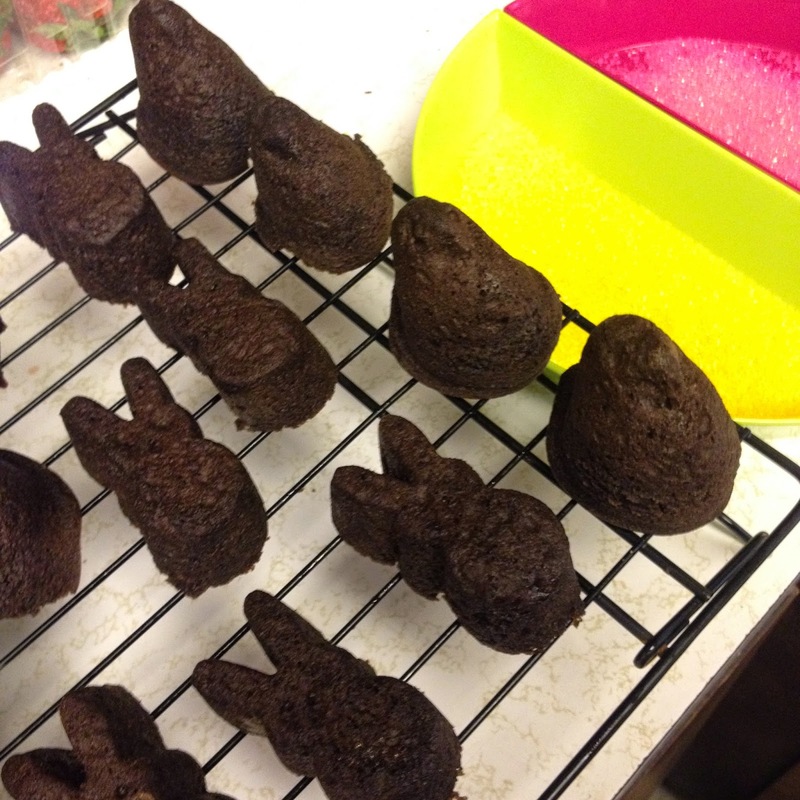 : A Healthier Peep Just in Time for Easter! A Healthier Peep Just in Time for Easter! When I was in the store the other day I saw the Wilton Peeps Mold and had to buy it. I was instantly inspired to make my kids a healthier version of the fun holiday treat! 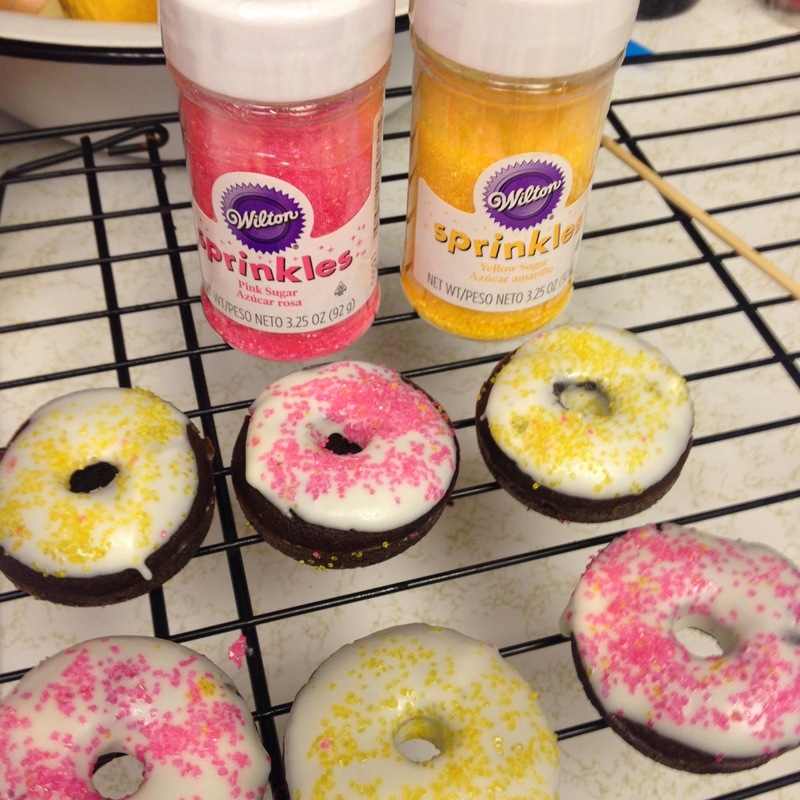 I once again used my healthy chocolate cupcake recipe that I've also used to make healthy donuts. Instead of dipping them in dark chocolate, this time we used up the rest of some white chocolate bark that I had leftover and cut it with a bit of coconut oil so it didn't solidify all of the way. Then I dipped them in Wilton decorating sugar in the perfect Peeps colors and used a skewer to poke the holes for the eyes and bunny nose to give them that classic Peeps look. The chicks were a little harder. I could have used the same method, but since I had such a sparse amount of white chocolate I was working with, my double boiler wasn't full enough to really dip them in there and get the coverage I needed I'm sure it would have been successful if I had more chocolate. But I kind of prefer the flat surface of the bunny, because it leads to less chocolate and a healthier (less sugar) treat for the kids. I think I will go back and buy the all bunny pan they were selling next to the bunny and chick pan that I purchased.